HH from Helapuri ashram, 11th Sep,2013. These days, selfishness, desires and excessive greed have increased significantly among people. In order to obtain/ retain name, fame, power and position, people recklessly inflict great harm upon the other innocent people. Everyone is selfish. The desire that his demands should be met quickly exists within every person. Every one seeks that he should be able to bypass the queue and complete his task at the earliest. ‘At least my task should get completed, al least let me get the ticket for the function’, everyone desires. In this Kaliyuga this is the unique creation of that Paramatma. Listening, abiding by the teachings of the Sadguru is the only way to escape from this strange creation. Only through His teachings, a change can be brought about in the mind. Appaji !! You are the symbol of selflessness. You are making this trip to Antarctica to protect the entire creation. You are the always giving Trinity.!! Victory to You !! Victory to You !! 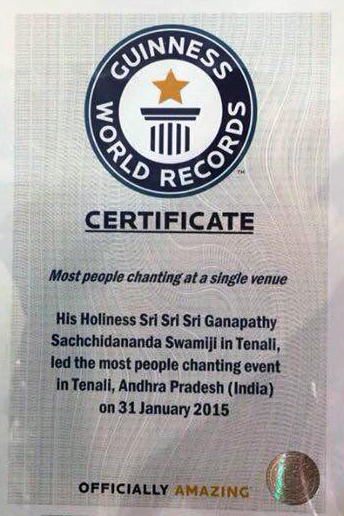 Victory to Appaji’s Divine Mission of World Peace !! The universe that God controls is meant to be fair to all based on past karmas and vaasanas. When one breaks the rules and disturbs the natural balance by depriving others, they reap painful consequences. 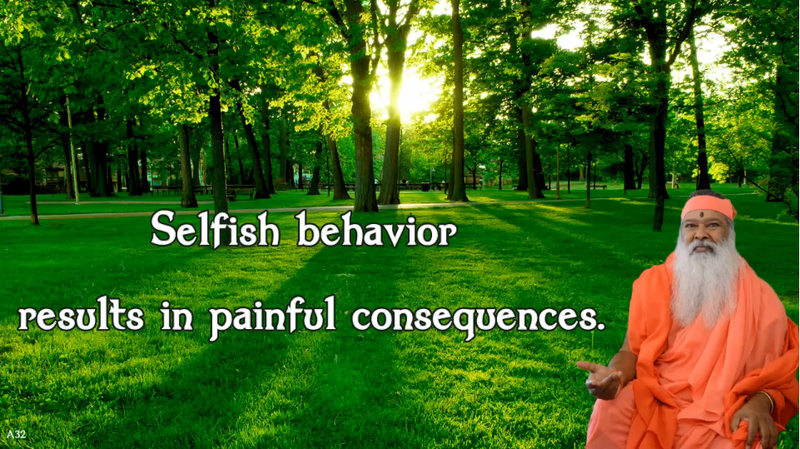 Selfishness is just one of the depriving traits. God’s accounting is flawless. The AM message was about making a habit of leaving bad habits. This message cautions us against one of the most grave bad habits – hurting others through selfishness. Appaji we will work to first get out grip on, then control, and soon there after evict our selfishness. Praying for Safe and Successful Journey Sadgurudeva !! Sivaya Gurave Namah !! Sri Guru Datta !! Om Namo Hanumathe Namah! !